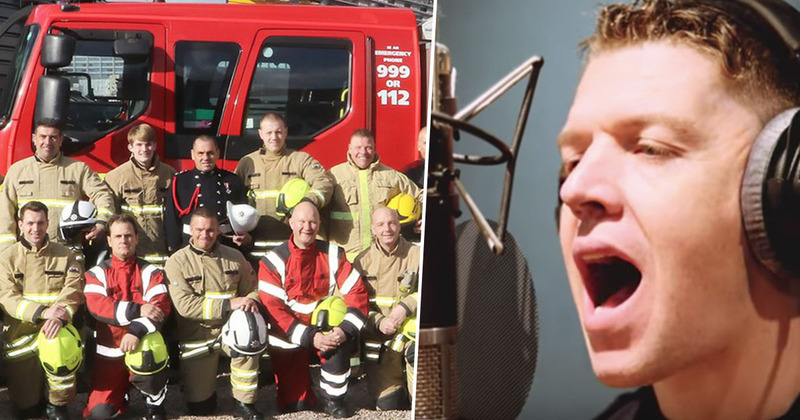 A group of firefighters who call themselves The Fire Tones have released a cover and video for Do They Know It’s Christmas for charity with the hopes of achieving the Christmas number one and raising as much money as possible. The idea for a charity single came about, as all good ideas do, at a pub. Firefighter Chris Birdsell-Jones was out with some of his workmates around Christmas last year when they launched into a debate about the best Christmas song. Do They Know It’s Christmas emerged as the least critiqued of the festive music, and Chris suggested the idea of releasing the song as a charity single. Initially his idea was laughed at, but after hearing the song repeatedly throughout the following day he took it as a sign and decided to pursue the project, posting pleas for support on Facebook. BIMM studios in Birmingham donated a day of recording to the project, and Chris set about calling fire stations across the country to put together the group. On October 28, The Fire Tones assembled and recorded the entire song in 24 hours, with 43 fire service personnel from around the UK all pitching in, many of who had never even met before. All profits from the single will be split between The Firefighters Charity and The Band Aid Trust – let’s help them raise as much money as possible! Download the cover of Do They Know It’s Christmas here.